Spearheaded by the UAE, the Gulf region is gradually transitioning into a cashless society. In line with this shift, we are seeing more and more fintech start-ups disrupting the payments and financial landscape. As bankers, we welcome the innovation. Digital payments offer genuine economic benefits, including providing much greater convenience for all types of stakeholders in the economy. 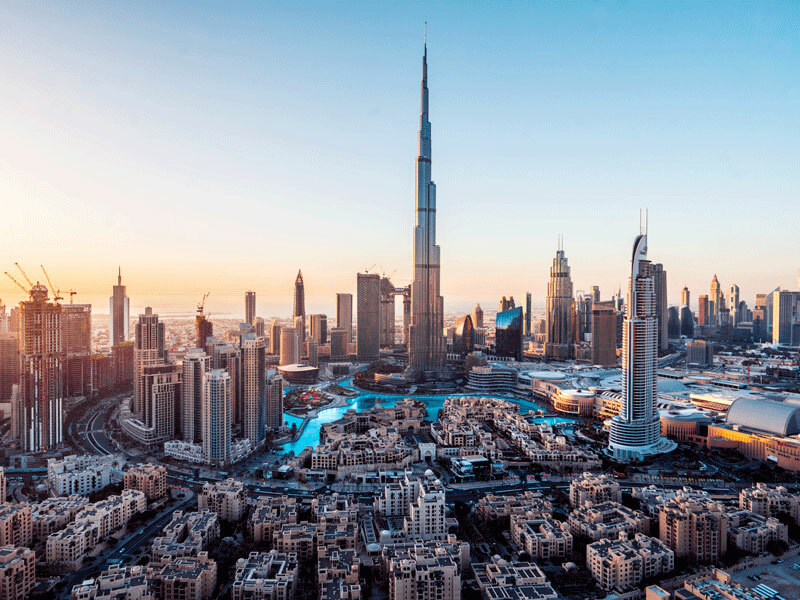 Demonstrating the potential in its recently released Cashless Cities: Realising the Benefits of Digital Payments report, Visa found that digital payments could bring up to $2.2bn in net benefits to consumers, businesses and the government in Dubai each year. This figure soars to $6.7bn for Riyadh alone. Both cases highlight the massive potential for large untapped markets that are further behind in their penetration of cashless payments. Mashreq continues to lead the way in encouraging the adoption of digital payments in the UAE and beyond. For instance, we were the first bank in the region to introduce Alipay, China’s wildly popular mobile and online payment platform. We were also one of the first banks in the UAE to incorporate both Samsung Pay and Apple Pay when they launched in the UAE in April 2017 and October 2017 respectively. Also in 2017, we launched our own digital wallet, Mashreq Pay, which allows our customers to simply tap and pay at retail outlets, making their payment experience far quicker, easier and more secure. In addition, we are part of the Emirates Digital Wallet initiative and are working closely with the UAE Government to enable accessible cashless solutions for the unbanked and underbanked segments of the population. We also have plans in place to introduce new digital platforms into the market that will offer customers much more choice in the way that they can make payments. As the oldest bank in the country, we are fully aligned with the vision of the UAE Government to make all government utility services cashless by 2021. Cash still remains dominant in the country today, but with innovation on the rise within the banking sector and a tech-savvy population that readily embraces digital payments, a cashless society does not seem too far away. In line with this emerging trend, other significant changes are being witnessed in the region. According to the UAE Banks Federation’s annual report, banks in the UAE removed 75 of their branches in 2017 alone. Foreign banks, meanwhile, removed three percent. While brick-and-mortar branches are still integral to the banking profession, they have been changing to offer a different experience for customers and financial institutions alike. Previously, customers would visit their neighbourhood branches in order to conduct a variety of day-to-day transactions, such as making transfers, withdrawals and deposits. Increasingly, however, they now use digital platforms to carry out the same tasks. This migration towards online and mobile banking enables them to save valuable time, money and effort. This also allows the banks themselves to allocate their resources far more efficiently – and progressively, too. At Mashreq, we have responded to this evolution by transforming our branch network. Today, we focus on advisory services that encourage greater human interaction between employees and customers. For everyday transactions, our use of state-of-the-art technology enables customers to benefit from a wide range of self-service facilities. We also have plans in place to expand the range of these solutions in order to make self-service banking much quicker, easier and more accessible across our entire network. Mashreq continues to lead the way in encouraging the adoption of digital banking in the UAE and across the region. There is no question that the digital economy will continue to dominate the key strategic focus of the banking profession in the future. Consumer lifestyles are changing at a pace unlike ever before. With this shift comes a large and growing appetite for digital services – whether it’s to shop, order food, pay bills or bank, the modern customer demands the convenience of doing so at the push of a button. Technologies like ATMs, which are commonly used by foreign visitors, will soon be upgraded to interactive teller machines, acting as round-the-clock service centres rather than merely being cash-dispensing machines. Additionally, with regional and international digital wallets such as Alipay slowly gaining traction, tourists are expected to migrate further towards cashless transactions, particularly as many prefer to avoid the hassle of dealing in physical foreign currencies. With all these changes afoot, banks must be able to complement the fast-paced lifestyles of their customers by offering a seamless payments experience across all channels. This, in turn, will enable customers to make quick everyday transactions, while also allowing the bank to deliver expert advisory services whenever more important financial decisions need to be made. Today, 92 percent of Mashreq’s financial transactions are conducted through automated digital channels, while 65 percent of enquiries are made online or via mobile. Given such widespread adoption, we continue to invest in our digital capabilities. In fact, we anticipate this figure to have reached close to 97 percent by the end of 2018. Digital-only banks are expected to play a huge role in this shift, using AI technology and big data to offer a simpler, more intuitive and more innovative banking experience to all customers. Mashreq Neo, the first digital bank in the UAE to offer a full range of banking services, is a successful example of this shift: over the past year, we have seen an astounding uptake of Mashreq Neo consumers. We also have major projects in the pipeline to expand these services beyond personal banking in order to cater to businesses and other client segments as well. Digital infrastructure supports innovation, as it enables out-of-the-box thinkers to experiment with new products, processes and services in a faster and more efficient manner than ever before. Digital systems also offer innovators the ability to evaluate projects more precisely and accurately, thereby enabling them to judge their potential success or failure in advance. This, in turn, will enable them to save invaluable resources, including time, money and talent. Therefore, innovation is key in this competitive landscape, and going beyond simply offering digital platforms to deliver a truly superior customer experience will be crucial to remaining relevant in such a fast-changing industry. Data plays an invaluable role in the world of digital finance. It offers real-time customer insights and analytics, which allow banks to customise their products and services to cater to their clients’ individual financial needs. A great example of this is our recently launched ‘mortgage 2.0’ product: thanks to readily available real-time data from Al Etihad Credit Bureau and Mashreq’s own technology, which shares insights with our relationship managers, we have developed a new pre-loan approval facility. This mechanism allows our customers to purchase homes in the UAE faster and easier than ever before. Mashreq Neo also constantly uses real-time data and analytics to make digital-only banking a truly intuitive experience. The data collected from Mashreq Neo consumers helps the bank to analyse the most relevant products and services that matter to this segment. This enables it to invest and expand in the areas that respond to our customers’ financial needs. In this day and age, it is more important than ever to be agile. Agility impacts operational efficiencies, which in turn translates into a quicker and more enhanced customer experience. As a digital banking leader in the UAE, Mashreq has implemented an agility-based model. It has also leveraged the use of AI, big data, machine learning and cognitive technologies within both our back-end and front-end systems. Financial technology companies across all sectors worldwide are rapidly disrupting the existing landscape. Against this backdrop, the UAE has embraced this approach with various funds and investment opportunities. Mashreq fully endorses and supports this vibrant sector – indeed, we view fintech firms as strategic partners that share our passion for innovation. The tangible benefits of fintech companies are evident in the way they leverage technology to deliver cost-efficient, user-friendly solutions that offer a far superior customer experience. With our innovation-led philosophy, Mashreq takes pride in having the strength of a traditional financial institution with the heart of an innovative fintech start-up.